Cathay Pacific announced changes to the Marco Polo program today which come into effect for all flights taken after April 16, 2016. These changes have been more than 18 months in the making and today Cathay revealed what the new status earning system will look like. I won’t go into details of the program, but you can read a full list of changes here. 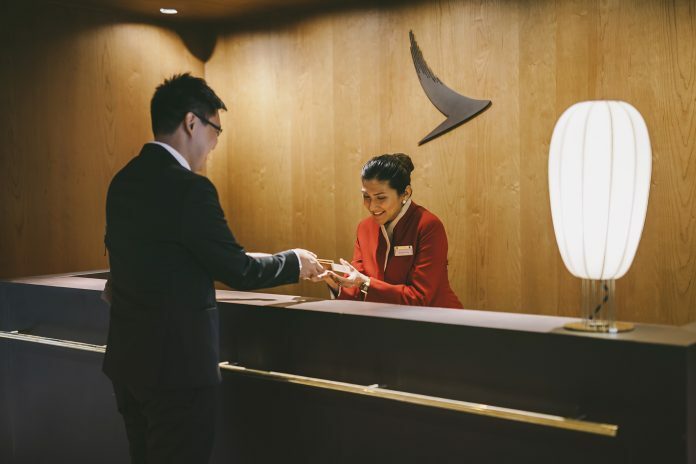 Clearly, there are winners and losers in every frequent flyer program ‘enhancement’, and I want to save you the legwork by highlighting what the program changes mean regarding earning and retaining Marco Polo elite status. To achieve this, I’ve reverse engineered the program qualification levels, earning classes and flight segments so that the data can be manipulated anyway and ordered as such that it’s possible to find the best and worst status earning segments. This graph paints a picture of all CX flights, in all eligible booking classes combined to create an average earning level towards status in general (again, an average of all status levels combined to show the power of each booking class compared to status earn on old/current vs new changed programs). The overall sentiment of the changes appear to align with the high end of town in business & first class. While there is no sizeable jump in earning capacity towards status in any premium cabin – there is a reasonable pull back at the lower end, especially in the medium haul to India. The evident and definite winner are members who book in low fare classes (Q,N,S) that will now earn credit towards status. Interestingly, I would think first class sectors would be earning near the top of the table. The biggest mover in first class is HKG-FRA with a +31% gain in status earning power. If you’re a high flyer shelling out the big bucks – this leaves you in a sweet position in that you will earn elite status faster than ever before under the new program changes from April 16, 2016. Unfortunately, if you’re in Premium Economy or lower – your status earning power has been greatly reduced if you’re in anything except some of the cheapest fare buckets (which now earn). What I do find odd is that Cathay didn’t appear to overlay the data sets of flights/booking classes that earn significantly less and calculate what options these passengers have in terms of other airlines. I’ve done the math – and if a passenger chooses a competing carrier on an ultra long haul route (likely transit via another Asian city) – there is now scope to earn more points on competing carriers. Overall, I believe this is a positive result for the majority of frequent flyers. Want to see how your flights will fare after April 16, 2016? Here is our custom made online tool for you to compare each flight segment and how every fare class on every Cathay Pacific flight will be affected by the Marco Polo changes. View the Online Calculator.